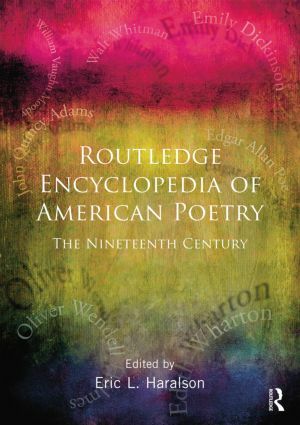 With contributions from over 100 scholars, the Encyclopedia of American Poetry: The Nineteenth Centry provides essays on the careers, works, and backgrounds of more than 100 nineteenth-century poets. It also provides entries on specialized categories of twentieth-century verse such as hymns, folk ballads, spirituals, Civil War songs, and Native American poetry. Besides presenting essential factual information, each entry amounts to an in-depth critical essay, and includes a bibliography that directs readers to other works by and about a particular poet. Eric Haralson is Associate Professor at the Department of English, Stony Brook University, USA.